He [Robert Indiana] created this Latin/Spanish version of the sculpture in response to the changing demographics of the US and his desire to speak to his fellow citizens. 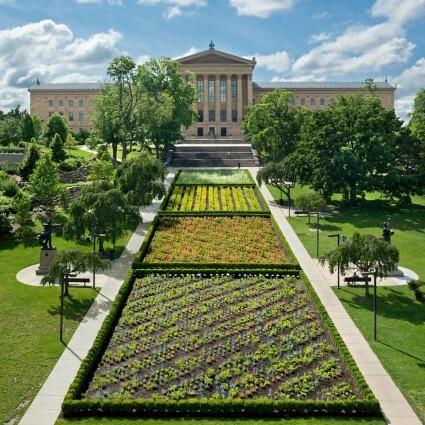 On the occasion of the 2015 World Meeting of Families and Pope Francis’ visit to the U.S., the Philadelphia Museum of Art in partnership with the Association for Public Art presented the installation of Robert Indiana’s AMOR atop the Museum’s famous steps, where the sculpture overlooked the Papal Mass on the Benjamin Franklin Parkway. AMOR – which means “love” in both Pope Francis’ native Spanish and the Church’s traditional Latin – was on loan from the Morgan Art Foundation, courtesy of Simon and Marc Salama-Caro, and remained on view atop the steps through October 23, 2016. AMOR is now permanently installed in Philadelphia’s Sister Cities Park at 18th Street and the Benjamin Franklin Parkway. The sculpture was formally dedicated at its new location on December 2, 2016. 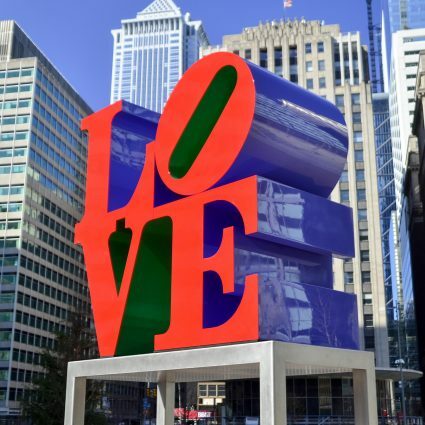 Robert Indiana is the artist behind the iconic LOVE (1976) sculpture, located in nearby LOVE Park. He created this Latin/Spanish version of the sculpture in response to the changing demographics of the U.S. and his desire to speak to his fellow citizens. 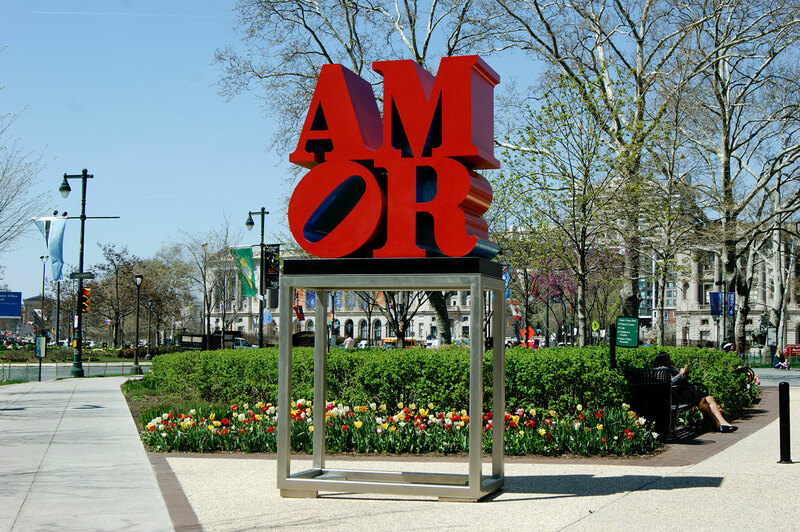 As a permanent part of the City of Philadelphia’s public art collection, AMOR serves as a companion artwork to LOVE. 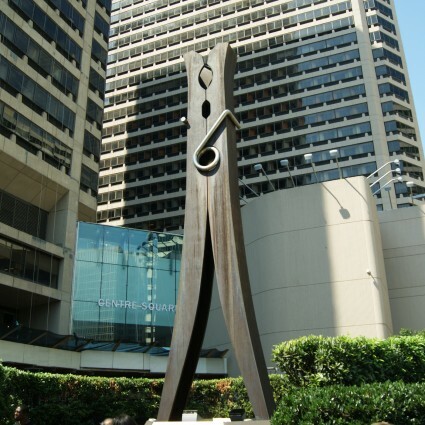 The permanent installation of AMOR was made possible through the generosity of the City of Philadelphia, the Morgan Art Foundation, the Philadelphia Museum of Art, Mrs. Edith R. Dixon, and the Association for Public Art. 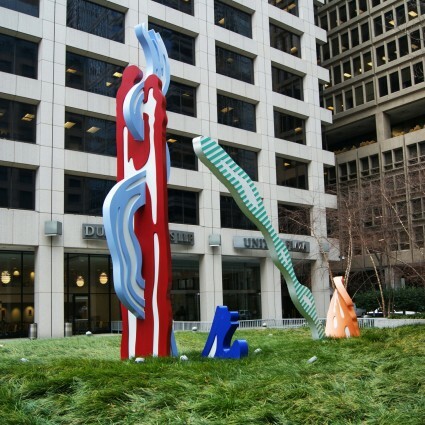 Founded in 1872, the Association for Public Art commissions, preserves, promotes and interprets public art in Philadelphia. The Philadelphia Museum of Art is Philadelphia’s art museum: a landmark building with world-class collections, exhibitions and programs. More information about Robert Indiana can be found at robertindiana.com. Thank you to Philadelphia Parks & Recreation for their support! Share your photos on Twitter or Instagram using #AMORphilly!